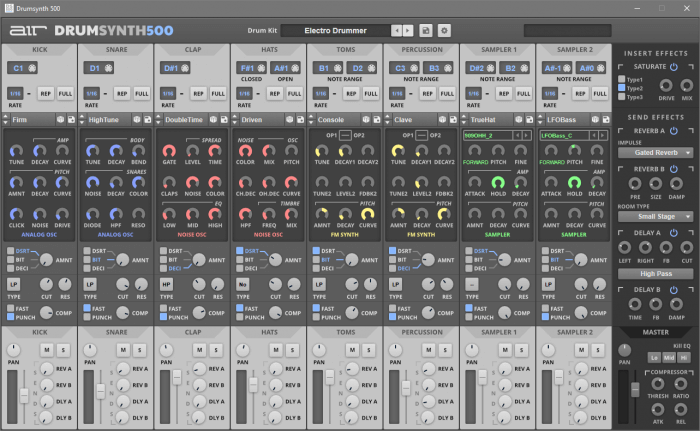 AIR Music Tech has today released Drum Synth 500, a new virtual drum Synthesizer plugin for PC & Mac. 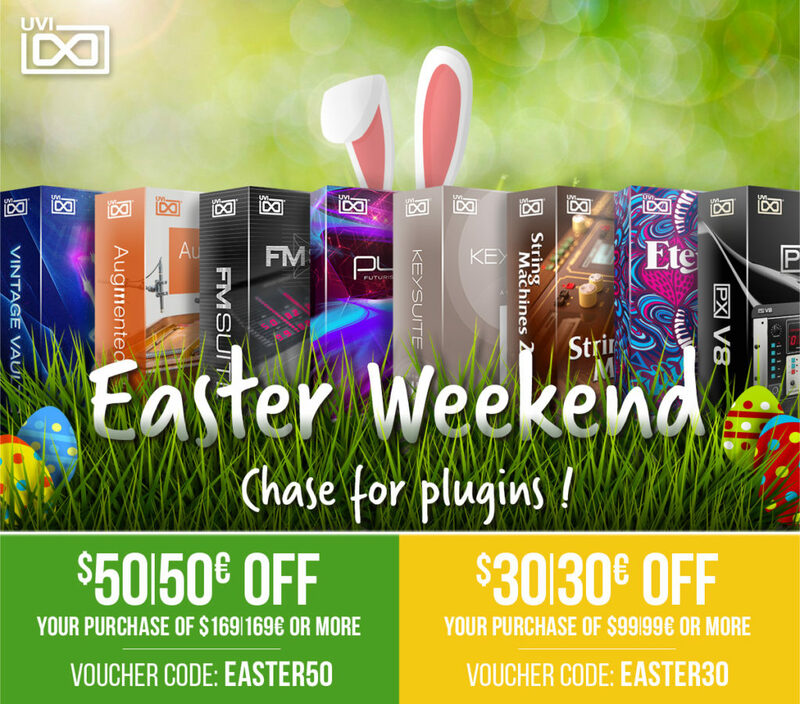 According to the company, Drum Synth 500 is the successor of the well-known Strike virtual drummer plugin. 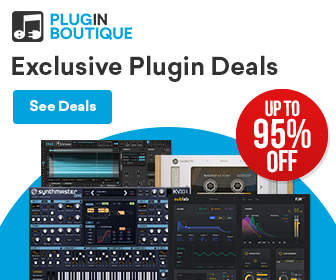 The plugin is made in collaboration with AKAI Pro and Alesis and is based on 8 channels of drum synthesis that covers a wide range of synthesis technologies: virtual analog, noise synthesis, FM to classic sample playback. It doesn’t feature an internal sequencer but comes with over 500 MIDI drum loops and over 500 drum sounds/samples and more. 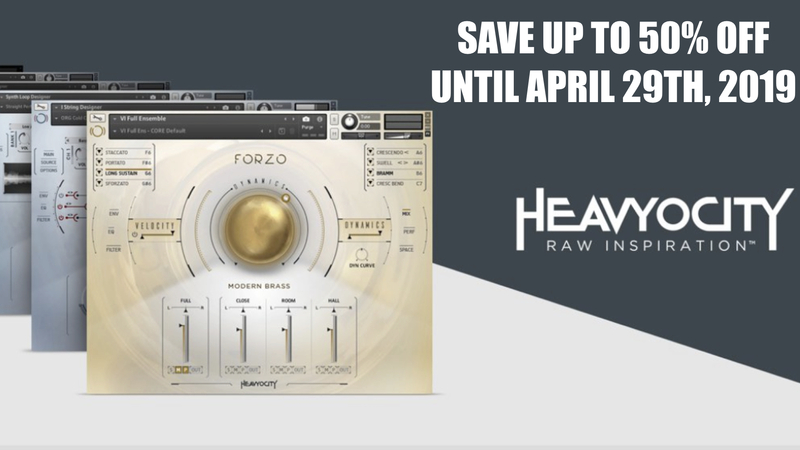 To round up the sounds, it offers different insert effects: distortions, filters, compressors, reverbs and delays. 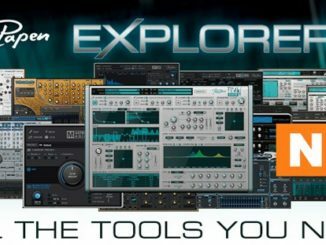 Drum Synth 500 can be described as a versatile drum sound design studio for electronic musicians. In the style of the popular 500 series synth modules comes an all-new software drum synthesizer that delivers full control of all electronic drum sounds in an easy-to-use, comprehensive interface. Drum Synth 500 from AIR Music Technology has everything needed to create an endless variety of custom electronic drum sounds for all styles of music. 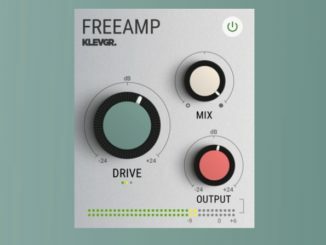 Load your own sounds into two separate Sampler channels, including loop, forward and reverse playback. MPC Full Level and Note Repeat for each instrument channel. 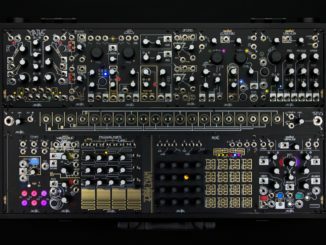 Three distortion effects (including new Bitcrusher and Decimate), 5 filters and 2 compressors per instrument channel. AIR Music Tech Drum Synth 500 is available now for PC & Mac (64-bit VST, AU, AAX & standalone) and available for the intro price of $99.99 USD until May 16th, 2019 (regular $149.99 USD).